Of course Friday the 14th February was St Valentine’s Day. 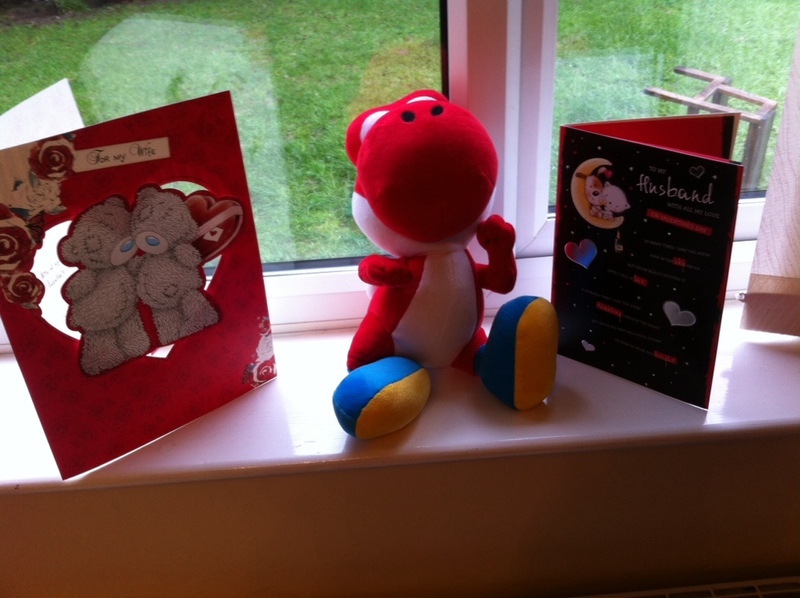 We don’t normally do much for Valentine’s says we try to celebrate the .welsh versions – Dwrnod Santes Dwynwen – on the 25th January. Of course this year we didn’t do anything on Santes Dwynwen as we were still finding our feet with Little Miss and we forgot! So when hubby’s parents offered to babysit we took them up on the offer. I was a bit worried about leaving Little Miss because of her being unsettled during Thursday and Friday but we decided to go – his parents could always ring us if anything was wrong. We went for a meal to the venue we got married at and It’s also the place we met. It’s an accountancy college/conference hall not a restaurant so you can’t just turn up for a meal. They decided to hold a Valentine’s Day meal and they invited couples who had for married there – so of course we were invited! It was so nice to be back there – I remember commenting as we were leaving the day after our wedding that it was so sad that we wouldn’t have a reason to go back! We have spent a lot of time there and the place is full of memories – most of which are happy! Who would have thought that having to do nasty accounting exams would have led to me meeting the love of my life and ending up where I am today (married with a kiddiwink and two dogs)! When we arrived we’d were greeted by the staff who remembered us from back in the day! Wwe were given a glass of Proseco (or lemonade for me) and we sat down by the fireplace to warm up. We had a catch up with the staff and asked if our favourite lecturer was still teaching. Yes he is and was actually coming that evening for a meal! The food was pricey at £37.50 each but as I say it was special for us! The food was absolutely gorgeous which of course we knew it would be (we have had countless lunches at that place)! The first course was cream of watercress soup with a bread roll. For the main I opted for the chicken in champagne sauce with dauphinese potatoes, baby carrots and a leek croquet. Hubby opted for the lamb shank with potatoes, red cabbage and sauce. Pudding was interesting! It was a sharing platter which consisted of a raspberry ice cream cone, a vanilla and strawberry cheesecake, chocolate mouse and a chilli and pineapple soup! We tried it but can’t say we enjoyed it! It wasn’t bad just different! It was topped with sour cream and served in a glass with two liquorice straws – I don’t like liquorice so that was no good for me! 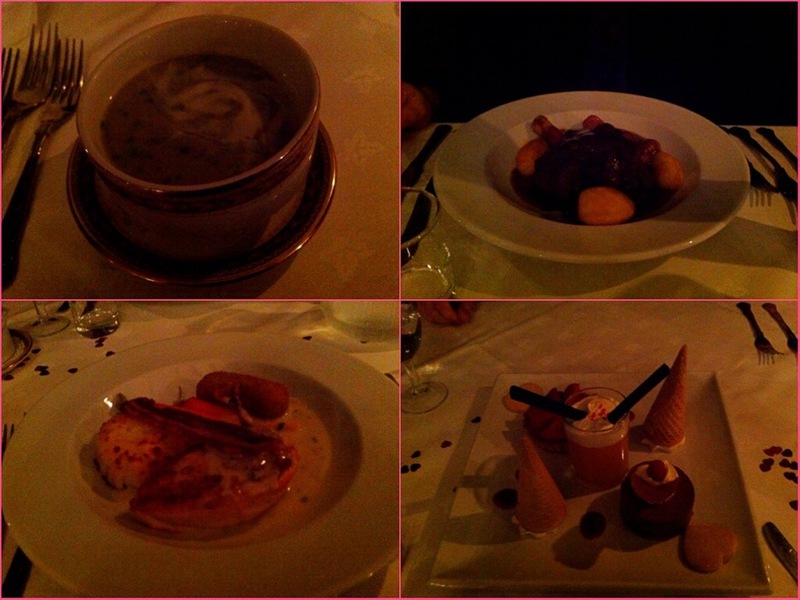 Here’s some photos of the food – sorry about the crappy quality but the lights were low – mood lighting it was called! At the end of the meal we had a cup of tea with biscuits and I was given a red rose from the staff. On the way out we noticed our lecturer sitting at a table in the opposites corner. We decided against going to talk to him as we didn’t want to interrupt his Valentine’s dinner with his wife! He came to the bar afterwards where we were sitting but he didn’t recognise us so we decided not to bother him. Today I’m regretting not going to say hello but never mind! So now I’m sad that I haven’t got another reason to go back there! 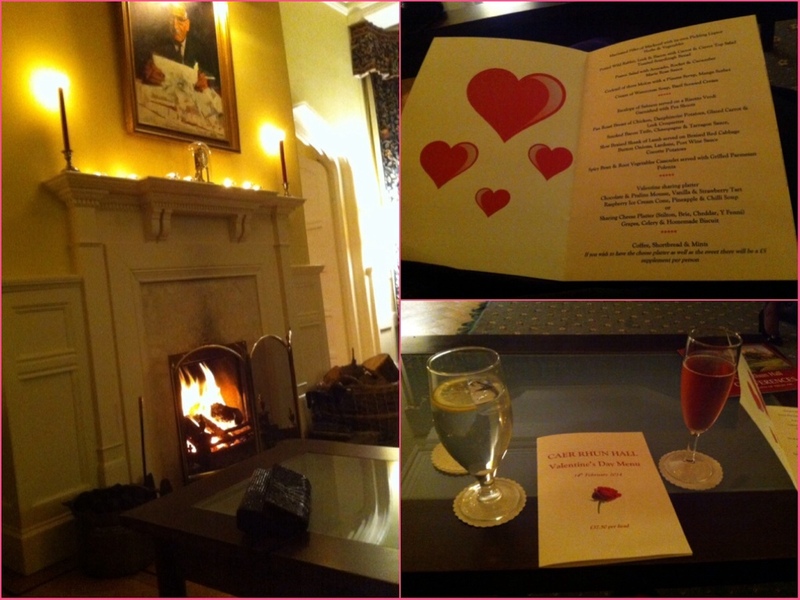 Although they did say if the Valentine’s Day meal was a success then they may do further special day meals! Hope everyone enjoyed their Valentine’s Day! Do they do it every year? If so, that would be an awesome tradition to have! I was telling Vince about it last night and he agreed about what a cool idea that was! I hope its the start of an awesome and extremely touching tradition.